centrée sur les profits pour atteindre un équilibre financier positif. Dans ce but, elle se concentre sur l’augmentation de la demande long courrier à partir de son hub d’Incheon. Le plan 2009 est basé sur une estimation du baril de pétrole à 75$ et un taux de change de 1 US$ pour 1 200 Wons. commande de cinq nouveaux appareils dont trois Boeing B777-300ER, la construction du Terminal Cargo de Tianjin, participation dans le département Aerospace à la construction de pièces détachées pour les appareils de nouvelle génération (Boeing B787 et Airbus A350). Korean Air commencera par ailleurs la deuxième phase de son plan de rénovation des cabines en cours d’année. Avec l’entrée en service du programme d’exemption de visa pour les Coréens désireux d’aller aux USA et l’accord de ciel ouvert signé entre la Corée et le Canada, la compagnie va augmenter le nombre de ses vols vers le continent américain et renforcer son réseau international en ajoutant des vols à destination de l’Europe et de la zone CIS (ex-Union Soviétique). Des pertes qui se creusent pour KAL au Q1 09. La branche cargo; 22 gros porteurs; souffre pas mal. Korean Air posted a first-quarter net loss of KRW526 billion ($413 million), widened 61% from a net loss of KRW326 billion in the year-ago period, marking its sixth consecutive quarter in the red. Chairman and CEO Yang Ho Cho said the "deepening global economic crisis [in addition to] the weakening Korean won [and] sliding travel and cargo demand" had a "direct impact" on KE's bottom line. Revenue was flat at KWR2.26 trillion while expenses rose 0.6%, leading to a 66% drop in operating profit to KWR6.6 billion. International passenger yield increased 11.6% year-over-year to KRW97.3 while domestic passenger yield lifted 11.1% to KRW181.5. in capacity to 2.71 billion ATKs, driving down cargo yield 1.7%. KAL très exposé dans le Cargo et dans les échanges Corée-USA. Toujours de gros achats en cours qui seraient honorés. KUALA LUMPUR, June 7 (Reuters) - Korean Air the world's largest air cargo carrier, said on Sunday that cargo demand had hit bottom, but there would not be a recovery until U.S.
consumers resumed buying Asian goods. "I think we have hit the bottom," CEO Cho Yang Ho told Reuters on the sidelines of an aviation conference in Kuala Lumpur. He said also that the airline had no plans to alter any orders with Airbus as long as the airplane manufacturer continued deliveries on time. Korean Air has 10 Airbus A380s on order. It also had $7.8 billion worth of orders with Boeing as of March. An order by Korean Air for five Boeing 747-8 Intercontinental snaps a nearly three year dry spell for the passenger-configured jumbo, and could signal the start of a slow climb for large airplane purchases in the coming years. Boeing last received an order for the 747-8 Intercontinental from Lufthansa on 6 December 2006, when the company's latest iteration of the venerable 747 was first launched. Korean's purchase of the 747-8I follows a similar trend by Lufthansa, who has also purchased the A380, and plans to use the 747 as a capacity gap filler between its 300 and 550-seat aircraft. Korean Air has also placed ten firm orders for the A380. But even with today's order and recent purchases of A380 by airlines like Air Austral for two, and a letter intent signed by Vietnam for four, the large aircraft market remains a niche for Airbus and Boeing because of potential market volatility, says one analyst. "Operating large aircraft can be very dangerous when the market tanks," says vice president of analysis for the Teal Group, Richard Aboulafia. "But the Korean order shows that the 747-8I still will have part of this niche, despite some very aggressive A380 pricing." Boeing's large aircraft segement has been dominated by orders from the 777-300ER configured with more than 365 seats, which has acted as a replacement to older 747s. For example, carriers like Singapore Airlines, All Nippon Airways and Air New Zealand have replaced the four-engine jet with the twin-engine 777-300ER, opting to maintain the size of premium cabins, while reducing economy class seating. Aboulafia adds that Boeing and Airbus widebody backlogs are dominated by future orders for their respective long-range high-capacity twin-engine jetliners. "The big plane market has been all but obliterated by the huge popularity of the long-range mini-jumbos, especially the 777-300ER and A350 XWB," adds Aboulafia. "As the saying goes, nobody ever went bankrupt flying planes that were too small. Very few carriers will replace 747-400s with equally large or larger planes. There's just too much to be said for getting rid of 20% of your lowest yield passengers and focusing on improving profits. You also get greater schedule and route flexibility with smaller long-range planes," says Aboulafia. Boeing estimates 740 large passenger aircraft over the next twenty years, a forecast that was slashed by almost 25%, down from 980 large aircraft. Of those 740, Boeing believes just over 500 will be passenger aircraft. "That means a handful of [747 v. A380] campaigns moving forward, all those campaigns are going to be tough. I like to say, lots of hand to hand combat," said Randy Tinseth, vice president of marketing for Boeing at the Dubai air show, before the Korean order was announced. Tinseth conceded at the show that "it's a really tough market to be selling big airplanes." Though he added that the 747-8 family has been "selling in total about where we expected, we've been very pleased with the strength of the freighter, we're dissapointed that we haven't sold more passenger airplanes." Boeing holds orders for 110 747-8 aircraft, split between 78 freighters, 7 VIPs and 25 configured for airline use. Tinseth believes that the large airplane market will rebound when the economy begins to improve. "Ultimately we believe that market is going to pick up when airlines...this coming cycle...start to replace their older 747s." A recent report by 7SEAS Aviation consultancy showed that one in ten 747-400s is now in storage, a number expected to grow as older aircraft are retired. Boeing offers the 747-8I, a 5.6m stretch over the existing 747-400, in VIP and airline configured variants. Entry into service is expected in the fourth quarter of 2011. Boeing announced 3 December that it had passed the 90% design release mark on the new -8I aircraft. April 8 (Bloomberg) -- Airbus SAS, the world’s largest commercial-aircraft maker, said it will delay its first delivery of an A380 jet to Korean Air Lines Co. because production of the superjumbo is behind schedule. Korean Air will get its first A380, the world’s largest passenger plane, in the second quarter of 2011 instead of in December as previously planned, the Seoul-based carrier said in an e-mail today. Airbus spokesman Sean Lee confirmed the delay in a separate e-mail. Airbus parent European Aeronautic Defence & Space Co., which last month booked 240 million euros in charges on its A380, wants to deliver about 20 of the superjumbos this year, or twice as many as in 2009. As of March 9, it had shipped three to customers. Korean Air, the country’s biggest air carrier, has placed orders for 10 A380 jets to meet rising travel demand and cut fuel costs Some of the Korean Air orders were for deliver as late as 2014. Livraison décalée pour le premier A380 de KAL de décembre 2010 à T2 2011. Korean Air (KAL) has had the delivery of its first Boeing 787 Dreamliner delayed by ten months, joining a growing list of carriers with delayed deliveries.The airline, which has 10 787-8s on order, had initially expected the first to arrive in 2011. It is scheduled to receive airplane 59, which would have put the delivery later in 2011. "The aircraft has been delayed for sure, for about ten months," says a KAL senior executive at the Association of Asia Pacific Airlines assembly of presidents.Boeing announced in August that first delivery of the 787 to launch operator All Nippon Airways would be delayed to the mid-first quarter of 2011 from end-2010.Japan Airlines, which has 35 firm orders for the 787, has also had its first delivery delayed to June 2011 earliest from March 2011.KAL says, however, that it will not be adversely affected by the delay. "We can manage in the marketplace for now with our current fleet," says the senior executive.The carrier is also scheduled to take delivery of its first Airbus A380 in May 2011. It has 10 of the superjumbo jet on order. N'est ce pas simplement le résultat de recalage final du planning? Korean Air is to configure its Airbus A380 aircraft with just 407 seats, the lowest-density layout for the type of any carrier so far. The airline has disclosed details of its seating arrangement for the twin-deck aircraft, which will include an all-business upper deck. Korean Air says this deck will have 94 lie-flat sleeper seats, with 74in pitch. This will give business passengers a sense of "exclusivity", says passenger business division chief Walter Cho. Travellers on the upper deck will be able to feel "like they're travelling in their own private jet", he adds. On the lower deck there will be 12 first-class and 301 economy-class seats. 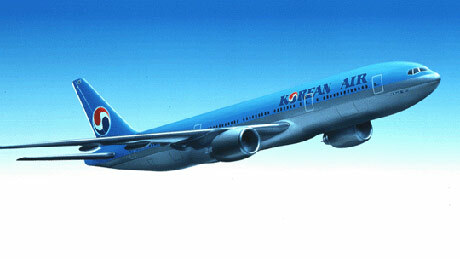 Korean Air is to put the aircraft into service in May 2011, initially on short-haul routes to Japan and eastern Asia. These initial routes will be followed by longer A380 services to the USA and Europe in August. It has 10 of the type on order, and five will arrive by the end of next year. Cho says the aircraft's layout will have a level of comfort that will "provide us with a competitive edge". Five other carriers operate the A380, with Air France's jets fitted with the highest-density layout of 538 seats. Maintenant il faut voir les prix. mais les compagnies asiatiques veulent offrir plus de luxe. Korean doit faire face à la concurrence japonaise et ANA et JAL ont des aménagements très peu denses (247 sur un 777-300ER pour ANA). irbus says the first A380 to go to Korean Air has today commenced a final round of flight trials in advance of the delivery of the lead aircraft to the sixth airline to operate the mega-transport. Korean is buyign 10 A380s and has announced plans for a duty free shop on the aircraft, a first for the aircraft. After the delivery ceremony in Toulouse, the airline will operate the aircraft starting in June, first on Asian routes from its Seoul hub, and then the North America and Europe, Airbus says. Korean expects to field 5 A380s this year and five more before the start of 2014. The aircraft are arranged with 407 seats, 12 in first class, 94 in business class, and 301 in economy. Korean Air has formally taken delivery of its first Airbus A380, becoming the sixth carrier to operate the double-deck aircraft. The Seoul-based operator accepted the jet, MSN35, during a ceremony at Toulouse. Korean Air's A380 brings the global fleet to 49 aircraft. Its entire upper deck has been configured with business-class accommodation, with 94 lie-flat seats, and the aircraft has just 407 seats in total. Korean Air chairman Yang Ho Cho, speaking in Toulouse, said this made it "the most special A380 so far". The aircraft also features a specialised 'showcase' of duty-free products displayed as part of its interior arrangement, with a dedicated cabin crew member to assist with service. "Our customers can browse our selection of duty-free items," said chairman Cho. Korean Air's A380 becomes the third airline to put an Engine Alliance GP7200-powered A380 into service, behind Emirates and Air France who have 20 between them. Engine Alliance has secured agreements to fit the GP7200 to 124 of the 220 A380s for which a powerplant selection has been made. Rolls-Royce's Trent 900 has the other 96, with 14 A380s' engines undecided. Emirates remains the largest A380 operator with 15, followed by Singapore Airlines with 11 and Qantas with 10. The other two operators, Lufthansa and Air France, have seven and five respectively. Korean Air has ordered 10 A380s, and plans to fly the type initially on services within Asia but expanding to North America as the fleet enlarges. Korean carrier Asiana Airlines has also ordered six A380s. For shorter routes, the airline recently announced an order for 10 Bombardier CSeries, to be delivered starting in 2015. Woo, speaking to U.S.-based media in Seoul preparing to fly the A380 to JFK, says the aircraft are not for the intra-Korea market, but will be used to either beef up existing flights or start new ones in Japan, China and Southeast Asia. It currently serves 12 Japanese and 25 Chinese cities, but it could look at smaller markets, he says, perhaps Vietnam, Indonesia or Mongolia and Russia. It has not yet decided on how many seats its CS300s will have. He adds that a decision on options will be made in the next two years. Pour rappel sur un A320 / 737 , l'avant de la cabine est forcément à 2+2, et l'arrière à 3+3 ... on perd donc 2 sièges par rangée (-33% ) indépendamment du pas. Sur un MD80, SSJ, F100 ou Cseries, on peut faire un avant de cabine à 2+2 et l'arrière à 3+2, on ne perd qu'un seul siège (-20%) indépendamment du pas. Actuellement le Cseries est prévu avec des sièges de 20" en biz avec un couloir de 22". Une chaude ambiance, NEO vs Max chez Korean ! Et pour la prochaine vague ... Boeing fait la gueule et ne donne pas de prix pour le MAX ...à Korean ! Ca promet à Singapore ! Korean jouant au chat et à la souris ... avec A et B ! LE CS300 tel qu'il est est déjà une très belle machine. Les A319NEO et 737-7MAX sont beaucoup trop lourds et ne se justifient que pour des vols très longs. Maintenant je pense qu'un CS500 viendra un jour (le nom est déposé au cas où), voire peut être même un CS700. Mais il faudra une nouvelle aile et des moteurs plus puissants (pas de soucis avec toute les variantes du GTF). Je crois que ça me plairait ! Je parlais d'un nouvelle aile pour des versions alongées. Pas pour le CS300 qui est très bien optimisé (mieux encore que les CS100). Un CS500 (150 pax) avec la même aile que le 300 aurait tout de même 1800-2000 nm d'autonomie. C apaeut être intéressant oui. Mais quand on prend tout ce que doit emporter un avion passagers, le résultat est différent. L'autonomie à charge maximale est réduite. Pour le moment l'A320 est autour de 4000 kms, l'A319 vers les 4500 (ça dépend de la version des moteurs). Un CS500 avec la même capa en carburant que le CS300 risque d'être un peu juste. Si il est possible d'avoir des réservoirs supplémentaires pourquoi pas. Il reste à voir si les ailes peuvent lever une MTOW supèrieure.